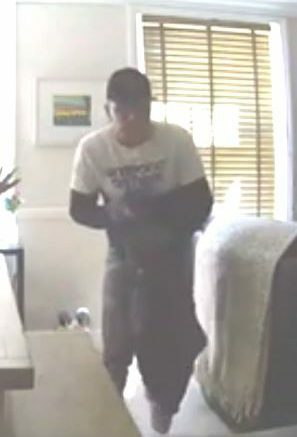 Detectives investigating a burglary which occurred in Beckenham last month have released CCTV footage of a man they wish to trace. At approximately 3.25pm on Monday, June 18, officers were called to a burglary at a residential address on Copers Cope Road. Whilst the homeowners were out, a man broke into the property via the downstairs window. Following a search of the property, the suspect left the scene on foot having stolen some jewellery. He is described as a white man, wearing a distinctive blue and white Armani top. No arrests have been made and detectives from Bromley CID are still investigating. Detective Constable Chris Taylor, who is leading the investigation, said: “We have released an image of a man I wish to speak to in connection with this incident and I am appealing for the public’s help to identify his whereabouts. Be the first to comment on "CCTV footage of Beckenham burglary suspect released"